I love chops made with vazhakkai and senaikizhangu ( Elephant yam ).Recently I bought small sized black colored pidi karunai kizhangu from my native.I heard its a good remedy for piles. We usually make vatral kulambu by adding this kizhangu. This time i tried chops by searching the recipe.I got from a discussion forum hub. It was very nice and aromatic with the perfect blend of spices. The original recipe was named as "Karunai kizhangu kola urundai" and it was told to deep fry. But I followed the same recipe and made in dosa tawa instead of deep frying. I would say this recipe is apt for making with elephant yam and raw banana. My doter loved it very much.We enjoyed with sambhar and curd rice !! Wash & soak the kizhangu in abundant water for sometime to remove all the mud. Now grind all the items given above adding required salt & water to make a smooth paste. Remove the skin of the kizhangu and chop it round. Now mix the paste ans marinate for sometime. The kizhangu should be fully coated with the paste. Now heat the dosa tawa and sprinkle some oil. Cover Cook the marinated pieces for sometime.Keep the flame low for even cooking. flip the pieces to cook the other side and do the same. I Wanted a brown layer to be formed so i kept for a longer time. Finally garnish with coriander leaves and add lime juice if necessary. Karunai kizhangu Chops is ready !! If u want to try kolas , just cook the kizhangu well till it mashes.Mash it with ur hands and add the paste.Mix well. Add finely chopped onions and coriander leaves . Make small balls and deep fry them in batches. If u wish to try the same with senai / elephant yam , add little more tamarind paste by avoid the irritation in tongue.Add less tamarind paste to make the same with raw banana. 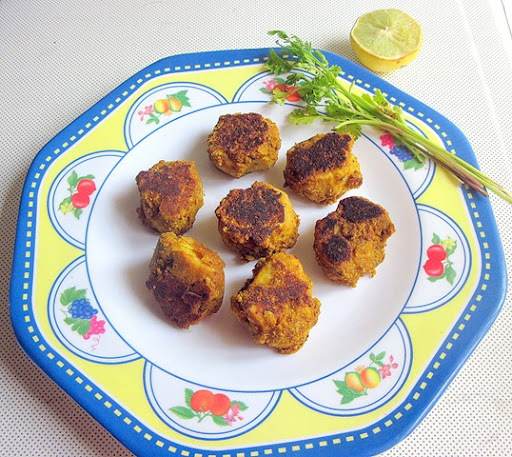 Technorati Tags: KARUNAI KILANZHU CHOPS,KARUNAI KIZHANGU VARUVAL,kArunai Kizhangu poriyal,Pidi karunai fry,pidi karunai dry curry,pidi karunai poriyal. Love the recipe,tasty and yummy..
delicious recipe,ready to have it with sambhar rice.Thanks for the information. that is an interesting recipe! love yams, so i should try making this sometime! Looks soo inviting! Wud love to have it with a bowl of curd rice:-)Slurp! Chitra they look so delicious! new to me, looks delicious and yum..
wow chitra,my fav recipe...love it at any time...like ur version. Thanks for visiting my blog. You have a lovely blog too. Shall follow you . Chitvish from IL? I have met you there. .
Yam is something I still have to come to terms with. Love your Kitchen Clinic, good to know info. Maybe after reading all this I will start using yam for cooking. thanks for the detailed post..
first time here... liked your blog a lot.. fabulous recipes with health benefits as well.. glad to follow you.. hope you will visit my blog as well..
Great information in this post! I should try this version of yam! 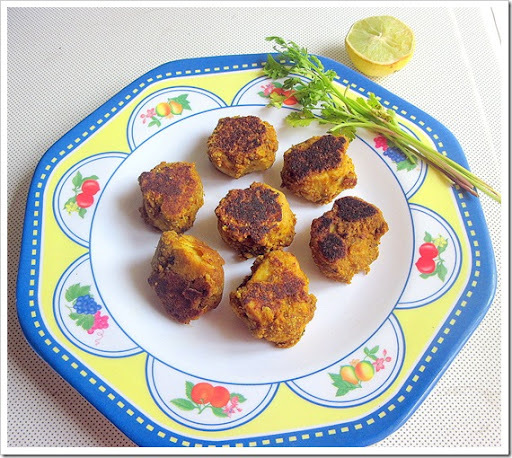 looks delicious..I'd looooove to try this chitra..
Luks Crisp and yumm.Luvly recipe. Very interesting and innovative recipe.Looks yummy and tempting. dint know about that yams are so nutritious,.. the yam chops look great! i like the fact that they are not deep fried!